It’s hard to pick the single moment that introduced the nation to Oscar Robertson’s prodigious talents, but one could say it was the 1959 Holiday Basketball Festival at Madison Square Garden. Robertson was no stranger to the venue — he made history in 1958 when he recorded a 56-point game that outscored the opposing Seton Hall team. The three-day ’59 Holiday Festival came down to Robertson’s Cincinnati Bearcats versus Iowa. The Big O simply dominated on the court, scoring 50 of Cincinnati’s 96 points to lead the Bearcats to victory. The game was covered in every major newspaper and his 50-point performance made Oscar Robertson a household name. The Cincinnati star was selected as the Festival’s MVP and awarded this trophy. 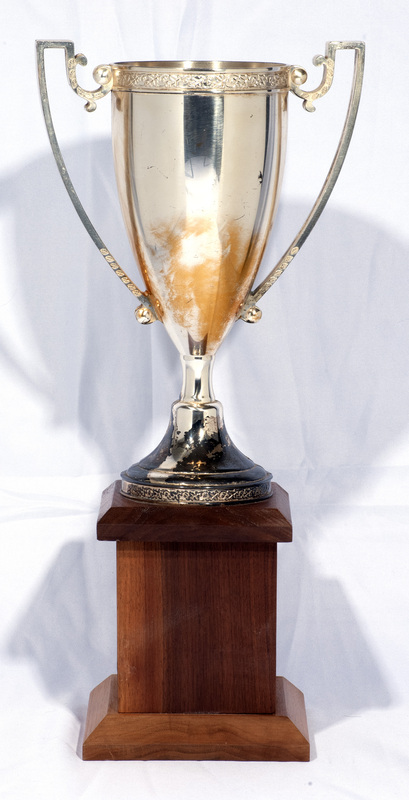 The award stands 16" tall and consists of an urn mounted atop a 5” x 5” wood base. 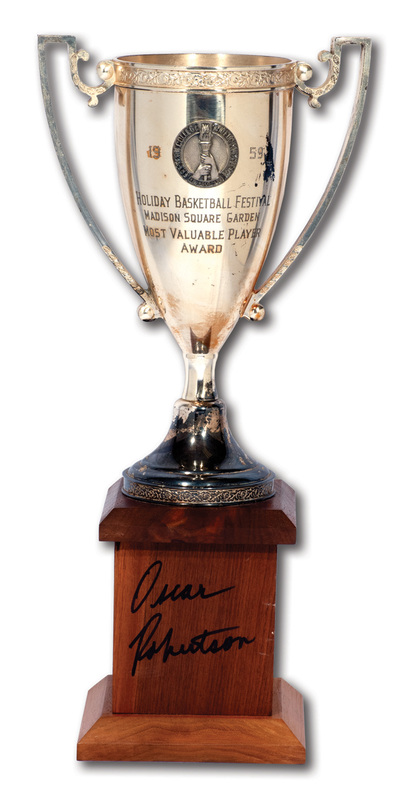 To complete this prestigious award, Oscar Robertson has signed the base in bold 10/10 black marker. The 5-lb. award shows light wear from age, with some tarnishing and toning throughout. A magnificent trophy awarded to Robertson for yet another achievement to add to his incredible college resumé. Includes LOA from Oscar Robertson.